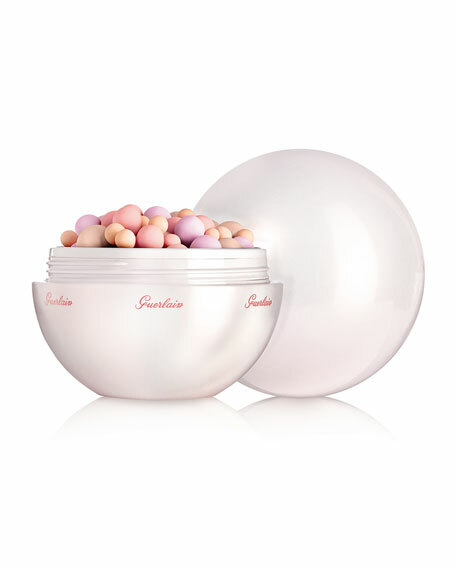 Guerlain Météorites Happy Glow Pearls of powder delicately color-correct and illuminate the complexion. Unique thanks to its ethereal texture and inimitable violet fragrance, the Météorites reinvent themselves this Spring. 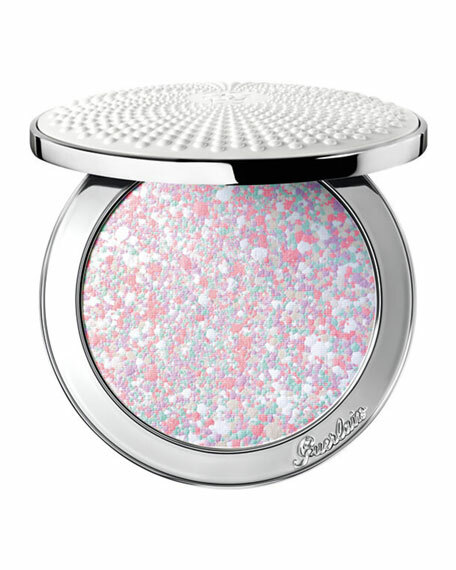 The color signature of the mythical, handcrafted pearls intensifies itself for a fresh spring glow  shimmery pink with multicolor reflection for the ultimate glow, soft mauve to catch light and matte pink to revive complexion. Combined with mini champagne pearls, they create a universal harmony that enlighten the complexion with radiance and perfecting halo. For in-store inquiries, use sku #2104371.